My general physiology class at USC is best described in one word: contrary. It's the hardest/most challenging/most time consuming course I'm taking this semester but its the course with the most lenient curve. The way the professor curves the course is jaw-dropping. My friend Richie was right - you get an A/A- as long as you score two or three points above the average. 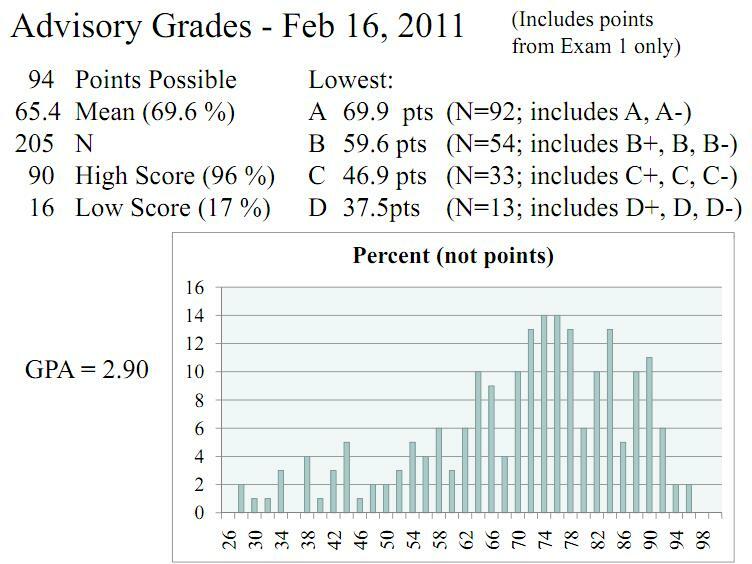 At the end of the day, I quite like this curve because my 79/94 wasn't as bad as I thought it would be. Now if only all my other classes curved like my physiology class!